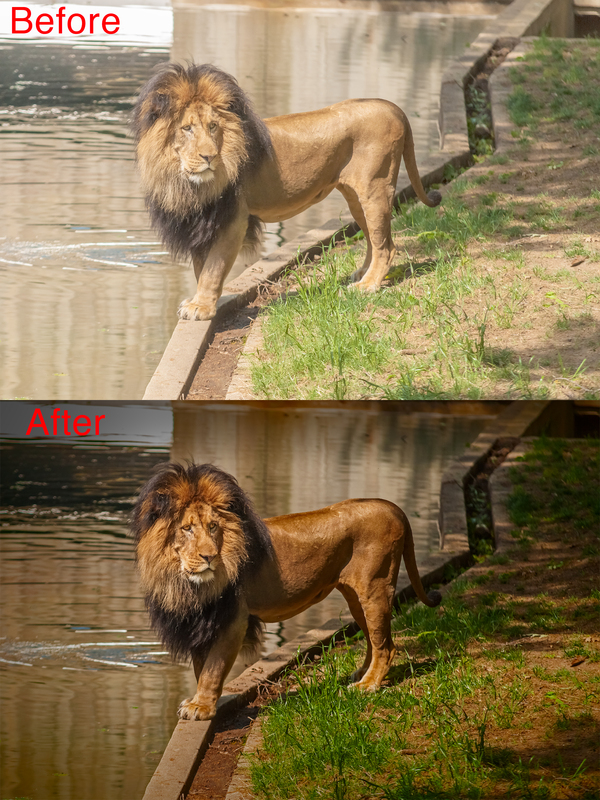 Today I want to share a quick video that shows the entire workflow I use when editing a picture from my adventures at the National Zoo. I’ve had a number of people asking about how I process my images so I put together this overview video that takes viewers through my process from start to finish on a single image. I’ll create some follow-up videos that explain how each step in detail. It’s important to remember a few things. 1) My zoo images are personal projects of mine and I’m willing to spend more time working on them than I would spend on assignment images (especially when there is a large volume of images to edit). This image took me between 20 and 30 minutes to create (from start to finish) and while that might not sound like a lot it is when you have hundreds or thousands of images to deliver. 2) My workflow for editing images reflects my personal style and it can be different for different kinds of images ((I might not use this style on portraits, for example). My personal style isn’t for everyone and it’s totally cool if you don’t care for the finished results. 3) I’m not shy about processing my images with Photoshop. My background is in image editing and graphic design so I believe that my camera captures are a starting point for creating what I have in my mind. I use camera settings, lens choice, flash and software (like Photoshop) to arrive at a final image. In other words – pressing the shutter button on my camera is just the beginning when I create an image. Again – this is my workflow and it’s not for everyone. You’ll see in the video that Photoshop is my primary tool for working with colors, contrast and for selective brightening/darkening. I use layers, masks, curves and channels to brighten, and add contrast to the important areas of the shot and to darken, reduce contrast for areas of the shot that are less important or part of the background. This overview video is the first video of a series I’ll be working on and I’ll also create some written blog posts to accompany the videos. If anyone has any questions I’m always happy to answer them.